Last summer when my husband was in full UC flare mode, due to the foods we were limited to eating at the time, I tried to switch things up with plantains. 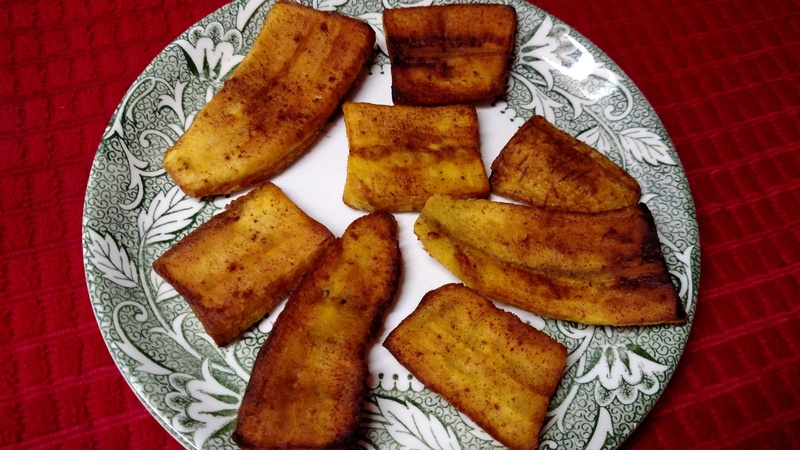 Not real sure of how to proceed with them, I checked out my big ‘ole virtual cookbook and found the simplest way to prepare plantains – pan frying. It’s soul-satisfying to find recipes that use minimum ingredients (clean eating) and are truly delicious. Quick and simple, we victoriously discovered another food that didn’t compete with my husband’s digestive system. Plantains are like bananas in that they sweeten as they ripen. It’s a matter of preference (and tolerance to sugars) as to how ripe they should be when cooked. For us, I cooked them when they were semi-green when the sugar count was low. 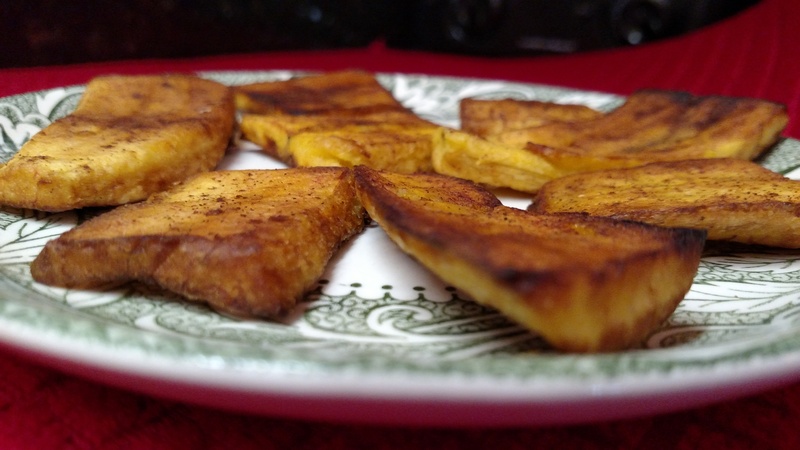 To prepare plantains for cooking, peel and slice either lengthwise or into little medallions about 1/4″ thick. To pan fry, simply heat butter (remember real butter is better, grass-fed is best! ), coconut oil, or ghee in a frying pan over medium high heat. Gently add plantains to the pan and sprinkle with cinnamon. Lightly brown on both sides, remove from the pan and drain on paper towels. Enjoy as a snack or light dessert. We didn’t have any left overs! If this seems too simple, get those creative juices flowing and share with us how you switch it up. The possibilities are endless….add shredded coconut, douse in carob powder, drizzle melted chocolate (70% or greater) over top, sprinkle with fruit….you get the idea!